The Metropolitan Museum of Art in New York Presents Spectacular Loan Exhibition of Art from Korea’s Silla Kingdom from November 4, 2013 to February 23, 2014. The exhibition was organized The Metropolitan Museum of Art, the National Museum of Korea, and Gyeongju National Museum, Korea. The Chonnam Tribune reports the interview with Lee So-young, Korean curator planned this exhibition highlighting the art of a cosmopolitan kingdom Silla.─ Ed. Last November 10th, a famous Korean singer ‘PSY’ visited the Metropolitan Museum of Art in New York, biggest Museum in the U.S. He gave us interesting impression that “I moved a lot from the Silla exhibition at the Met.” Like PSY, ‘Silla, Korea’s Golden Kingdom’ has significant meanings not only for Koreans but also the world’s people. First, this Korean exhibition can be the biggest ever that never exhibited in such kind of special exhibition place abroad. Second, Silla, which is the most well known Korea’s old kingdom, can dazzle foreigners through the magnificent resources, gold. Then, what would be the common features between Silla’s golden art works and PSY? How could they conquer the world’s famous city, New York? 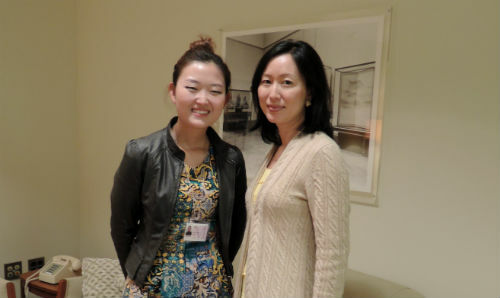 Let’s listen to Lee So-young, associate curator of the art museum. How could you make with a Silla exhibition with Deinys and be worth it among the world’s people? “This paved the way for our success when we visited Silla’s capital city, Gyoung-ju in 2008. Such interestingly shaped old tombs, magnificent decorations were very stood out for Deinys as a very unique way. On the other hand, Koreans can figure out the international nature of Silla culture. They were a unique dagger and glass vessels from Central Asia to Roman Empire, not in Korea. It means Silla was the terminal point of the Silk Road after reunification in 668. 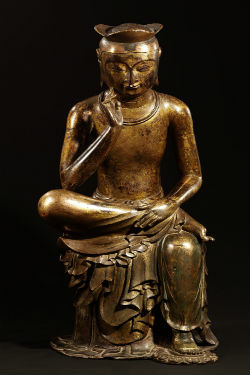 There was strict conflict with the National Museum of Korea to carry out “Bodhisattva” in pensive pose. With this matter, what has been the hindrance and memorable achievement? 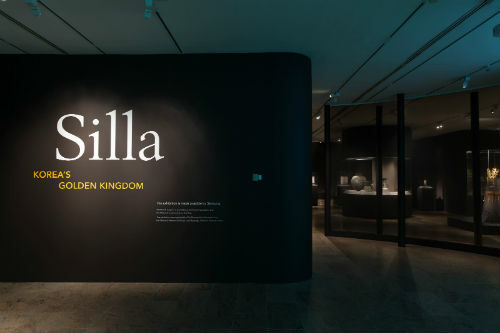 “Of course, it was such a fruitful moment when visitors were unstinting in their praise about the Silla exhibition. Even though Koreans usually take for granted the native culture of Silla, they told me it was a great opportunity to rediscover our own beauty again. And like the trouble of Bodhisattva in pensive pose, it is the matter of frequent occurrence that only a few antiques exist in Korea comparing to other countries. National Treasures would be exhibited more frequeltly. The three-foot-tall bronze Bodhisattva known as National Treasure No.83 is likened to “Monaliza” in the East country, as a representative Korean exquisite art work itself. That was the reason why I dared this difficulty. You are the only one Korean curator at the Metropolitan Museum. Is there any comment and advice for young Koreans? The Met itself is an encyclopedia that has a wide collection from ancient to contemporary including musical instrument and armors. The world’s exquisite culture focuses in the one spot in which you can discover the common point between Korean and Roman cultures through Silla. I want to say this point to combine expanded horizons from now on. Silla, our golden kingdom is still ongoing now.